The most common bat in our area is little and brown. Guess what its common name is? That’s right, the little brown bat. Think mice with wings and you are on the right track. 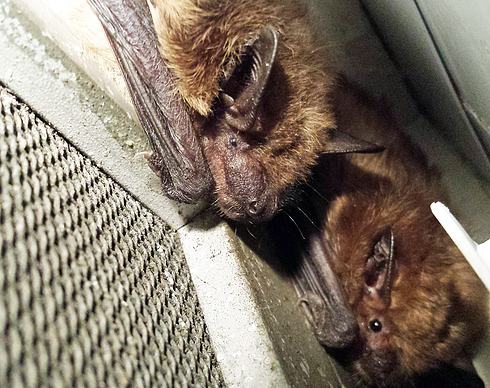 These bats are great at catching bugs on the wing but can’t gnaw through your walls to get inside. Instead they usually use existing holes in the house to get in. There are no poisons or pesticides labeled for control of bats. Trapping or exclusion are the methods of control that are available. Trapping: We can leave a trap or traps set for the animal(s) and once we have caught it (them) we can close up the access hole.